Providing its customers with the products, services, and expertise needed to successfully re-establish thousands of acres of prairies, wetlands, and savannas for more than 20 years. Besides operating one of the largest native seed farms in the Midwest, our dedicated team can also assist you with project planning, site preparation, installation, and land management services. 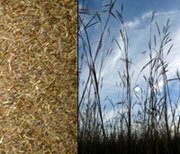 Your Source for Native Seeds and Plants for Prairie, Meadow, Wetland, Savanna and Woodland. At Prairie Moon Nursery we strive to have the best quality seed available. We sell source identified ecotypes from our production fields and from a network of more than 70 seed producers located throughout the upper Midwest. Our building is designed and equipped to maintain optimal conditions for seed viability and freshness.